My hubby, son and I were at lunch today in a restaurant when this usual scene emerged: all three of us staring into our phones while waiting for our food to be served. I'm usually the one who notices it first and will put my phone away. I will attempt to start a table conversation. Sometimes it works but sometimes it doesn't. When it doesn't, I will pick up my phone again. This reminded me of an article I read in The Economist recently. 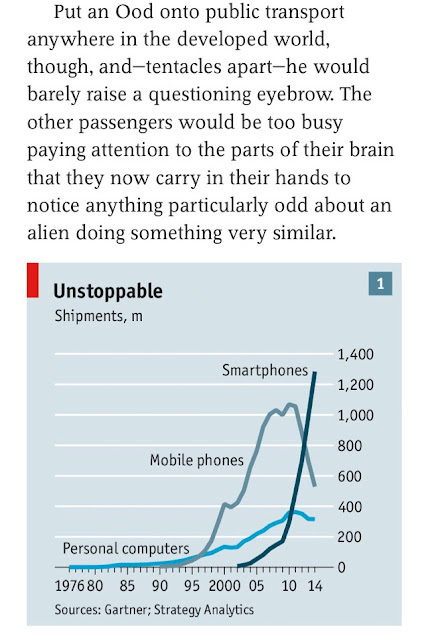 It is about the rapid proliferation of the smartphone. 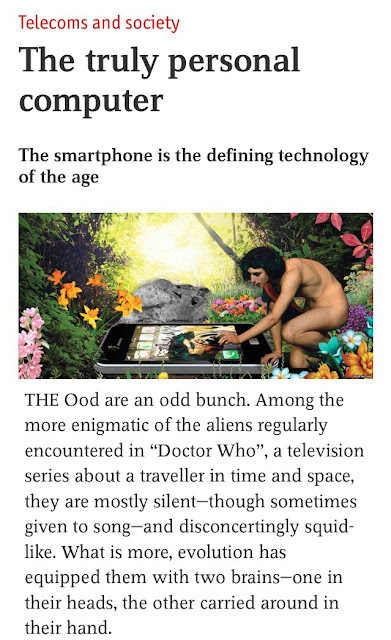 It cleverly begins with a reference to the Oods in Doctor Who, my all-time favourite TV series. It was then I realized, "Oh no! I am an Ood!" Except I don't look so ugly. And I am actually having second thoughts in putting such an ugly picture here in my blog. I have always regarded my iPhone as an extension of my brain. I cannot remember everything and so I use it to help remember. I cannot put everything in my brain and so I when I need to find out or know something, I use my iPhone to search for it or to refer to my stash of books in there. 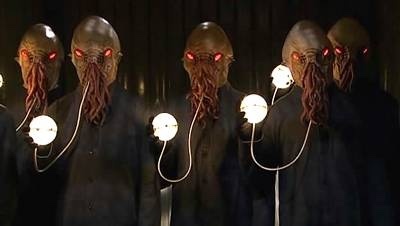 Therefore, I am very much an Ood after all. One brain in my head and one brain in my hand. Aren't we all?